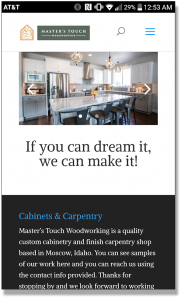 You need a beautiful web site, but you’re busy and good at what you do. Yet without a credible and effective web site you’re missing your ideal customers. You’re not alone, or you don’t have to be. We can help you take that ugly or non-existent web site problem, and turn it into a beautiful platform that delivers your best messages to your ideal customers, to make sure they find you. We provide a convenient and secure way for you to own your web site that we build with proven technology. 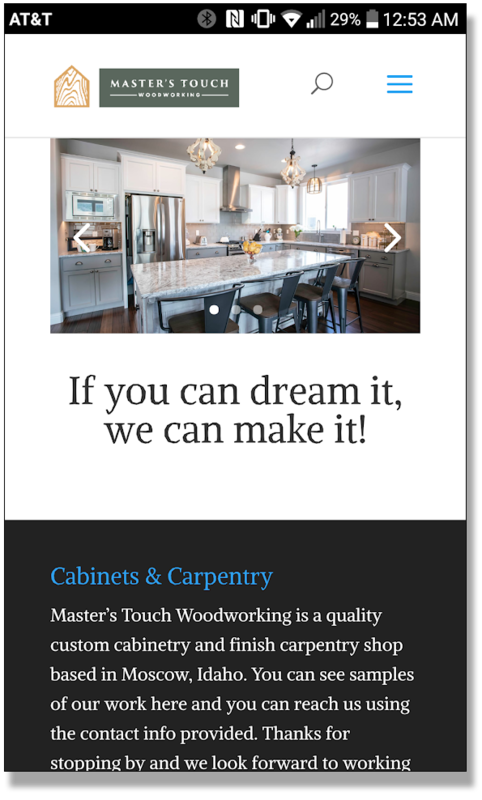 Our sites are beautiful, modern, and mobile friendly–they look great on phones and tablets. And we host sites as well, so we can handle everything in-house.